Numazu castle is located at Numazu city, a city at the root of Izu peninsula and at the mouth of Kanogawa river. 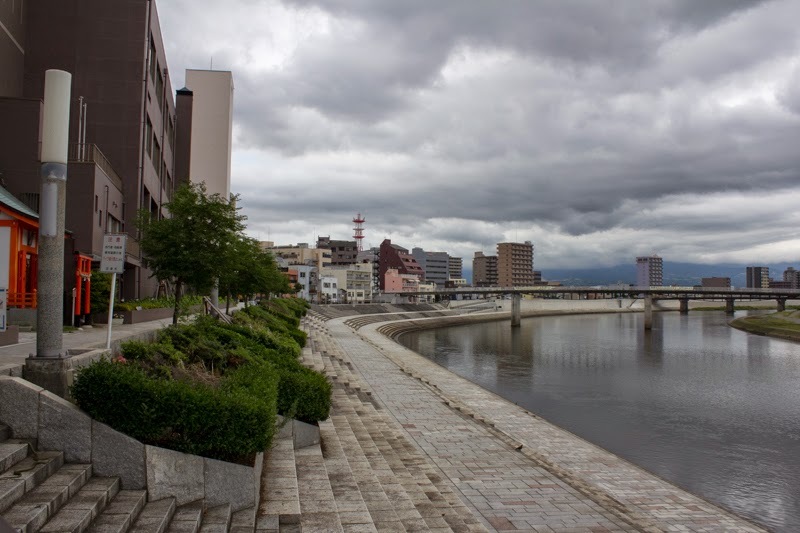 Numazu city is an important place of communication as it is a meeting point of roads to Kanto region via Hakone path, Kai country (Yamanashi prefecture) through Fujiyoshida city, and Shizuoka area. Numazu city also has a good port and a starting point of marine transportation to Izu peninsula. Numazu castle was built and destructed twice. 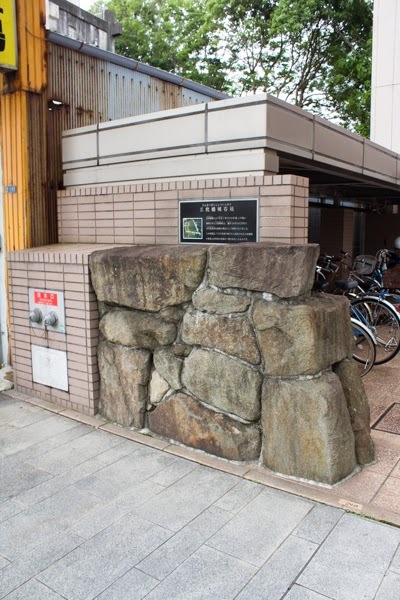 At first, Shingen Takeda (1521-1573), a famous warlord of Kai country (Yamanashi prefecture) who seized Suruga country, built a castle named Sanmaibashi castle at the mouth of Kanogawa river, as a military base in the east part of Suruga country. At the time of building Takeda clan and Hojyo clan became hostile because of the invasion of Takeda clan to Imagawa clan at Suruga country, and Shingen needed their base to defend captured Suruga country against Hojyo clan. Sanmaibashi castle consisted of three concentric layer of areas surrounded by water moat connected to Kanogawa river, and the strucure is quite similar to Ejiri castle, a castle also built by Takeda clan at Shimizu port. In front of the gates Umadashi (round shaped for to guard the gate) which was typical in Takeda castles were built, and central areas were covered with stone wall by later improvement. Later Hojyo clan and Takeda clan returned to friendship and Numazu area at the border of both power was kept in peace. Katsuyori Takeda (1546-1582), successor of Shingen also married with the daughter of Ujiyamasa Hojyo (1538-1590), the leader of Hojyo clan. But in 1578, after the death of Kenshin Uesugi (1530-1578), also a famous warlord of Echigo country, an internal conflict named “Otate no Ran” regarding the successor of Kenshin arouse. Ujimasa supported Kagetora Uesugi (1552-1579), relative of Hojyo clan and adopted son of Kenshin, but Katsuyori was on the side of Kagekatsu Uesugi (1556-1623), another adopted son of Kenshin, to prevent too much grow of Hojyo clan. Due to this reason Katsuyori and Ujimasa broke up and they started to struggle. As Hojyo clan had a strong navy, Katsuyori built a base of their navy and tried to compete with Hojyo clan in this area. Takeda navy under Katsuyori fiercely fought based on Sanmaibashi castle against Hojyo navy located at Nagahama castle for several years. After the extinction of Takeda clan in 1582, Numazu castle once belonged to Ieyasu Tokugawa (1543-1616) but Tokugawa clan was transferred to Kanto region by Toyotomi government in 1590. Sanmaibashi castle was managed by Kazuuji Nakamura (?-1600), an old retainer of Hideyoshi Toyotomi (1534-1598) and commander of Sunpu castle. Subsequent to the battle of Sekigahara, Ieyasu Tokugawa appointed Tadasuke Okubo (1537-1613), a veteran general of Tokugawa army, as a commander of the castle. Tadasuke served Ieyasu along with his elder brother Tadayo Okubo (1532-1594), and was appraised for the braveness. But Tadasuke died in 1613 without son, thus his house was extinguished and Numazu castle were demolished. After the abolition the site of the castle was left unused over 150 years, but in 1777 Tadatomo Mizuno, a hereditary retainer of Edo shogunate, was newly appointed as a lord of Numazu domain. Tadatomo was approved to build his castle, and built Numazu castle utilizing ruin of Sanmaibashi castle. It was a perceful period and Mizuno clan was not so large house, thus the size of the castle was scaled down from former Sanmaibashi castle, and the third area of former castle was not used. Also Numazu castle did not have stone wall, and Tokaido road passed through the space between Numazu castle and Kanogawa river. Mizuno clan of Numadu castle ofter served Rojyu (minister) of Edo shogunate and managed Numadu city by the end of Edo region. Subsequent to Meiji revolution, Yoshinobu Tokugawa (1837-1913), the last Shogun of Edo shogunate was transferred to Suruga country, and Numazu castle was also held by Tokugawa clan. 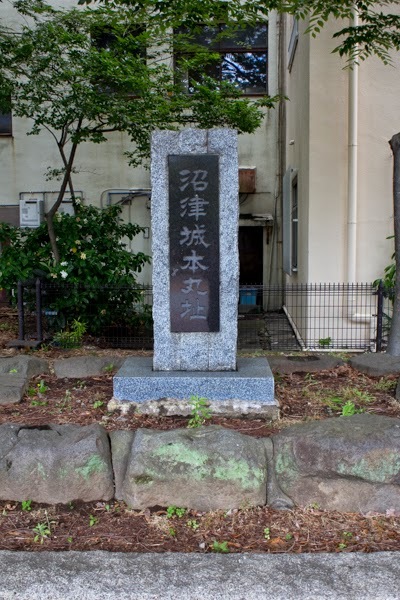 Tokugawa clan opened a military achademy named Numazu Heigakkou at the site of Numazu castle in 1868, and as a first military achademy in Western style this school produced many officers of Japanese Army and Navy. But this school shortly moved to Tokyo, and the site of the castle was transformed into central town or Numazu station. Numazu castle disapperared again. 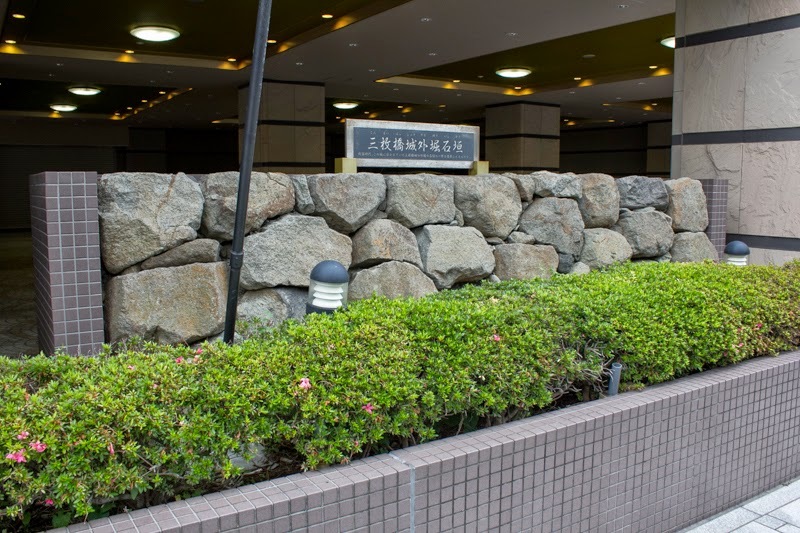 Today almost no ruin remain at the site, but stones used for the stone wall of former Sanmaibashi castle was discovered in the ground and displayed at the buildings of hotel and bank locate at former castle site. The site of central area becomes a small park, and one gate is transferred to neighbor temple.